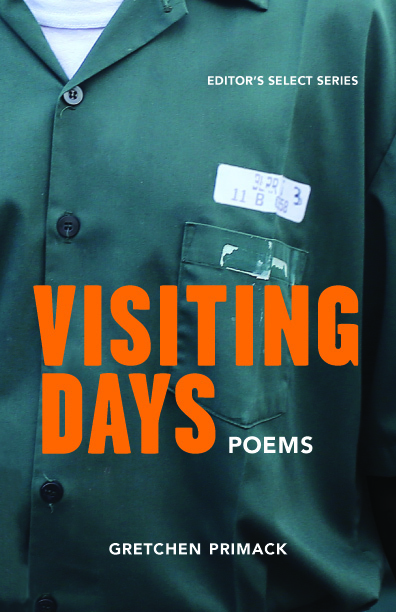 Visiting Days is a full-length collection of persona poems, published by Willow Books, that is "set" in a maximum-security men's prison. While I was deeply inspired by the students I've had/friends I've made over my years working in such an enivronment, these are imaginary voices. "Much like Marvin Gaye did in music, Gretchen Primack is committed to the task of telling the world “What’s Going On” in poetry. She has taught in prisons, the reciprocal lessons of which she has taken on the mask to share. In writing about the invisible ones, the discarded ones, the mass incarcerated skeleton in America’s closet, Primack unapologetically affirms the fact of their existence--their routinely cruel, unusual punishments, and their humanity. This courageous work, authentic in the feel of its persona poems, masterful in its balance of poetic impressionism and realism, will “make you wanna holler / throw up both [your] hands." "Like with Kind, her exquisitely crafted poetic argument for moral veganism, Gretchen Primack’s incredible empathy for the unconscionably caged emerges with her love for humanity on the elegantly rendered pages of Visiting Days. Her firsthand experiences with the incarcerated have resulted in characters so vivid and corporeal, I would have presumed the poems were biographical sketches of living, breathing human beings had it not been for the note clarifying that the volume is a work of fiction. Given the shameful reality that the U.S. reigns supreme as the nation imprisoning more of its people than any other, Visiting Days is vital—a volume that should be required reading for all." "American prisons destroy people. They destroy those who live in them, and those who live outside them. The poems in Gretchen Primack's Visiting Days raise the voices of those who live within them and America needs to hear these voices. These poems contemplate, weep, wonder, and command. These poems bear names like Ismail, Jacob, and Deneice. They rise up from places like East Wing, The Box, and The Yard. Most importantly, these poems ring with empathy, urging us to see these people, as people. Where prisons destroy, these poems ignite the fire that poetry tends: the burn that makes us human."